According to the Natural Marketing Institute, sustainability has become the most significant social movement of our time. It has permeated every aspect of-consumers’ lifestyles, business infrastructures and other societal constituencies. Not only is there now an unprecedented draw towards “everything green” but consumers are also overwhelmed with many sustainability initiatives. With significant “green washing” fall-out expected as consumers learn its true meaning and impact, now more than ever it is vital for savvy companies to align with a clear, easy to embrace and truly sustainable message. Enter Soul-Full Eating: A (Delicious!) Path to Higher Consciousness – an empowering, unifying message with across the board appeal. 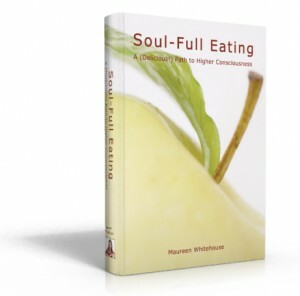 Soul-Full Eating’s axiom – Eat with love, what’s grown with love, prepared with love and served with love – connects us all. It’s the most readily available way to get in touch with a conscious mode of consumption that promotes feelings of optimism, hopefulness and connectedness. Soul-Full Eating offers a new way of looking at the impact we can all have immediately on global warming and other environment-related issues, by simply helping ourselves…to food! The world over, we have one thing in common: we all eat. As people heal their own individual world by making deliberate and conscious food choices, they begin to see what a profound impact this can also have on the greater world around them. They feel more united, confident and happy. They recognize that committing to the simple, self-honoring changes offered in Soul-Full Eating – such as eating organic, locally grown and less processed foods – is the best and most expedient way to heal the planet as well. What a revelation that is. After working with thousands of people worldwide as a spiritual teacher, counselor and expert in personal development, Maureen realized that the only way we can truly help the world in a sustainable way is to first help ourselves and then share our liberated experience with others. She wrote her award winning and best-selling book Soul-Full Eating with that knowing in mind. With global warming now in the back of everyone’s mind, it has become necessary to convey the message of embracing consciousness for our own individual good and the good of our planet. But how many messages are truly sustainable? We present you with the opportunity to partner with us, thereby associating your business with both “the real deal” and the environmental message that is not watered down or compromising, yet is easily accessible and doable for anyone. Soul-Full Eating is a pure and sustainable answer to the current dilemma that is not divided by lines of race, geography or income. And now you can associate your business as being on the forefront of this progressive new wave of conscious consumerism that is not self righteous or austere, but rather promotes health and wellness in a joyous, connecting and extremely inviting way. This becomes even more important when you consider that, along with the growing awareness of global warming and the need to embrace sustainability, through its many studies of marketing trends, NMI also sees society polarizing into two groups – The WELL BEINGS and the EAT, DRINK AND BE MERRY’S. As “green becomes the new black” for some, and while other consumers become more and more wary of grandiose sounding eco-labels that my not actually mean anything, people are in need a trusted voice. beloved mentor to many, Maureen Whitehouse is an ideal spokesperson with a cause. If we see your company as truly supportive of a Soul-Full life-style, we’d love to partner with you, promote your mission, and support you in attracting customers and selling your products. 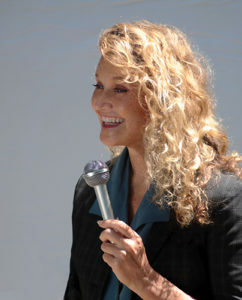 Maureen frequently delivers her message on the radio and on television, as this topic continues to resonate with audiences world-wide. While doing book signings, giving speeches, workshops and seminars at universities, corporations and for various special interest groups throughout the country, she can include your company in the media and promotional coverage. If you have any interest in pursuing a professional relationship with us, there are a number of sponsorship opportunities available for your company, with numerous benefits, including recognition in all printed materials. To find out more, please find our contact information here. We look forward to talking with you further about a win-win partnership! I’m thankful to Maureen for the tenfold leaps and bounds I’ve been able to experience under her guidance — a journey into feeling safe, respected and fully empowered to be me. Somehow — because of her blessing ways — I’ve found my true voice, a clear voice. A clear voice matters in Business, especially in leadership positions. A clear voice leads little room for ambiguity. 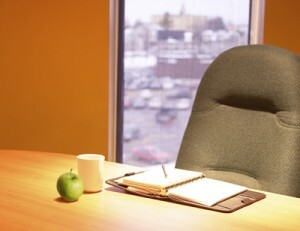 But most importantly it can motivate people as it affirms a belief in the strategic vision of a leader. I strongly recommend Maureen’s work to anyone in business seeking to find their true voice, remedy their shortcomings, accelerate professional growth and enhance their personal life – those who would like to experience true success.